Kelly Osbourne's New Favorite Fitness Routine- Hooping! Home Stay In the Hoop Kelly Osbourne's New Favorite Fitness Routine- Hooping! 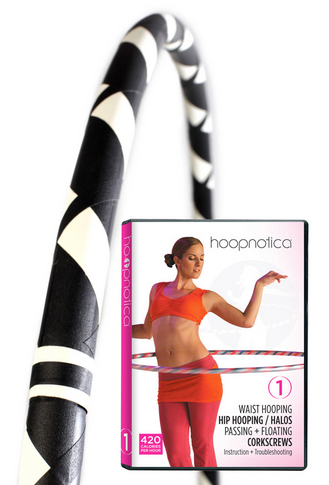 The beautiful, immaculately-styled Kelly Osbourne has come out and told the world how much she loves her Hoopnotica hoop and fitness routine! Kelly's hooping advice appears in the April Issue of Redbook Magazine, on stands now! We have to say, we are so excited that Kelly loves hooping as much as we do! 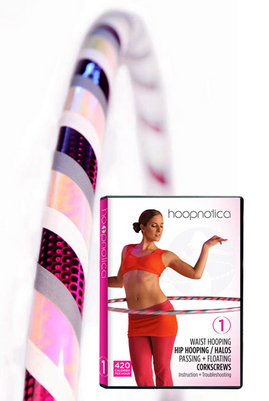 So here's a little something for all of you fashionistas and hooping passionistas: this seasons' new hoop kits and hoops; The Positraction Starter Kit; The Total Knock Out Hoop Kit, inpired by Kelly O! All of these products are LIMITED EDITION and available now! For even more sensational hooper style, check out our new line of stylish hooper-themed shirts and tanks. Don't forget to take advantage of FREE SHIPPING on domestic orders over $75!